This month for Poetry 365 we’re highlighting Dean Young’s excellent new book Shock by Shock. Influenced by the New York School poets and Surrealists such as Andre Breton, this twelfth collection from the Pulitzer Prize finalist is his first of all-new work since undergoing a life-saving heart transplant in 2011. Slightly more meditative while still bursting with his trademark wit and agile imagery, these finely-crafted poems show why the American Academy of Arts and Letters named Young “one of the most inventive and satisfying poets writing today.” So don’t miss this terrific new book, sample a library-related poem below, and make sure to stop back next month for Poetry 365. Our Best Kept Secret: What Are the Newest eBooks & eAudiobooks at EPL? Shhh! Whatever you do, don’t tell anyone about the awe-inspiring amount of e-books and e-audiobooks available FOR FREE through the library. After all, if you’re the only one aware of our titles, you’ll get to enjoy the sheer plethora of titles all by your lonesome self. Here are some of our newest releases in all things “e”. 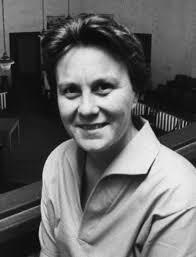 Harper Lee’s 1960 novel To Kill a Mockingbird won the top vote for most influential book written by women. A selection of 20 titles voted by the public was launched to find novels by women “that have most impacted, shaped or changed readers’ lives”. Liberty director Shami Chakrabarti described Ms. Lee’s novel as “the book that introduced many of us to our belief in human rights,” adding “with human rights under attack the world over, the enduring appeal of Harper Lee’s great tale gives hope that justice and equality might yet triumph over prejudice”. Other titles on the list include classics, science fiction, romance and children’s literature. Read the full article in The Guardian and check out the entire list here. 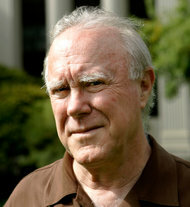 Former poet laureate of the U.S. Robert Hass won the $100,000 Wallace Stevens Award. The prize given for “outstanding and proven mastery in the art of poetry” was awarded by the Academy of American Poets on Tuesday. Mr. Hass won a National Book Award in 2007 and a Pulitzer Prize in 2008. He will be honored along with six other recipients at a ceremony on October 17. You can read two of his poems here and see more about the award and other winners in this NYT article. 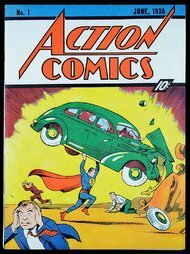 1938’s Action Comics No. 1, featuring the first appearance of Superman, sold for $3.207,852 to an unnamed buyer. Darren Adams the owner of Pristine Comics in Federal Way, Washington posted it on eBay August 14. The original price for this comic in 1938 was 10 cents. It took just 48 bids to get from a starting price of 99-cents to it’s final sale. Mr. Adams told the Washington Post: “I actually held it for a few years–I was so excited about this book. And equally exciting to have a book of this condition is the fact that nobody knew it existed…till I made it known.” Read more here. Now don’t you wish you had saved your old comic books? Opera fans are eagerly awaiting the gala opening night of this year’s 2014/2015 opera season at Chicago’s world renowned Lyric Opera. It’s Don Giovanni on September 27th. And, of course, here at EPL, we are setting up our Lyric materials display and organizing our popular lecture series that begins on Saturday, September 20th at 2pm at the Main Library. 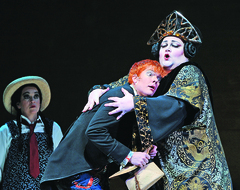 But if you’ve always imagined you’d look fabulous as the flirty Rosalinde (Die Fledermaus) or want to dress up this Halloween as the lovestruck Nanki-Poo (The Mikado), now’s your chance to purchase a get-up at the Lyric’s costume sale on Saturday, September, 6th, 9am to 6pm at the Civic Opera House, 20 N. Wacker Drive at Madison Street. Prices will range from $1 to $200. 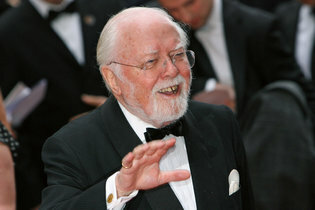 British actor and director Richard Attenborough died on Sunday at the age of 90. Although a familiar actor in Britain, it wasn’t until he was cast in the 1963 war film The Great Escape that he became established in Hollywood. He won Golden Globe Awards for best supporting actor in The Sand Pebbles in 1966 and again in 1967 for his role in Doctor Doolittle. He also acted in Indian director Satyajit Ray’s The Chess Players and in Steve Spielberg’s hit Jurassic Park. His later years were devoted to directing, including his 1982 epic Gandhi which was nominated for 11 Academy Awards and won eight. His earlier directing jobs include the 1969 satirical musical Oh! What a Lovely War; Young Winston in 1972; A Chorus Line in 1985, and Cry Freedom in 1987. Mr. Attenborough was made a Commander of the British Empire in 1967, was knighted in 1976, made a baron in 1993 and given a seat in the House of Lords. For more about this distinguished “giant of British cinema” see today’s NYT article. And check the EPL catalog for more of his films. Murder…in the library…with a poker. What fun! If you’re in Shetland or Orkney (UK) on September 13th, you might want to help solve a heinous crime committed in the library at the Ravenswick Hotel. 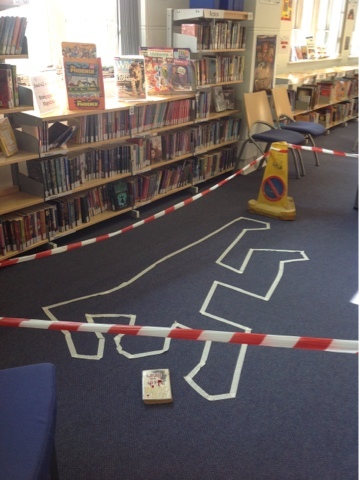 Ann Cleeves, popular mystery writer there and abroad is promoting a novel way to spend an evening in a local library–a whodunnit presentation of an original drama. As reported in an article in The Scotsman, “the murder mystery idea was premiered at the Harrogate Crime Writing Festival, with the help of Steven Robertson and Alison O’Donnell, two of the stars from the Shetland television series. Cleeves, who has been a high-profile critic of local authority moves to close libraries around the UK, said she was thrilled to roll it out across communities.” Read the full article here.